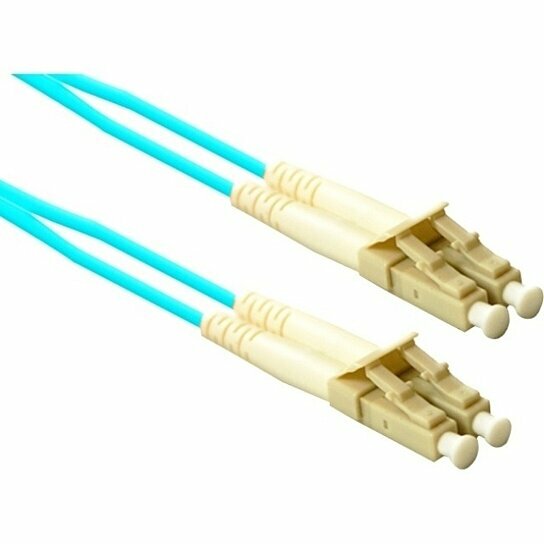 LC to LC 50/125 10G Aqua Multimode Duplex 100 Feet Fiber Cable. ENET 50/125 OM3 Duplex 10G Aqua Cables are designed to carry increased bandwidth for mission-critical data transference and support cross-compatibility to existing 50/125 Multimode fiber applications. These cables are built using any combination of LC and SC connectors and are designed to work with LED and VCSEL laser light sources including 10GBASE-SR and 10GBASE-LRM applications in both SFP+ and XFP Form-factors. All ENET Fiber patch cables are 100% fully tested for insertion and return loss guaranteeing the highest quality product available.